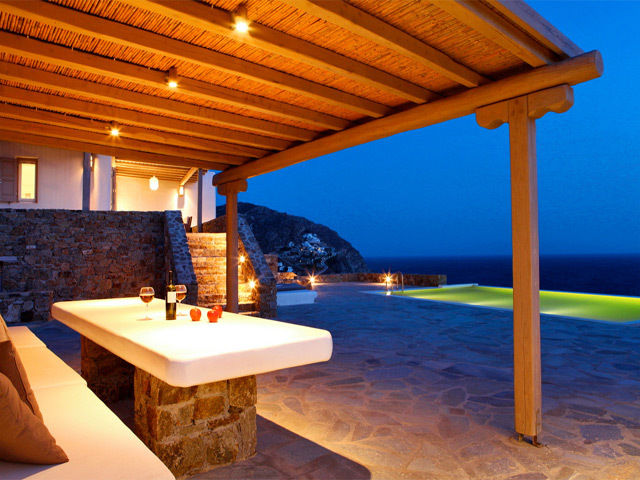 Mykonos or Myconos is an island of Greece. 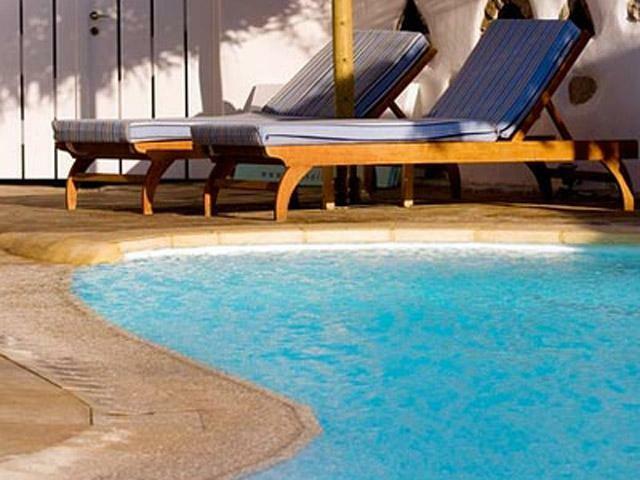 It is one of the Cyclades, a group of islands of the Aegean Sea, lying between Tinos, Siros, Paros and Naxos. It has an area of 86 km² and an elevation of 364 m. It is made mostly of granite and has little water. There are approximately 6200 inhabitants (2002). The largest town is Mykonos, also known as Hora, on the west coast. In Greek mythology Mykonos was the location of the battle between Zeus and the Gigantes and the island was named in honor of Apollo's grandson Mykons. During these ancient times, Mykonos, due to its proximity to the then highly populated island of Delos (situated about 2km away), became very important as a supply island and possibly as a getaway location for Delian citizens. Open: April to September ... In Delight Boutique Hotel, we do our best to ensure that your stay is comfortable and free of everyday life concerns. 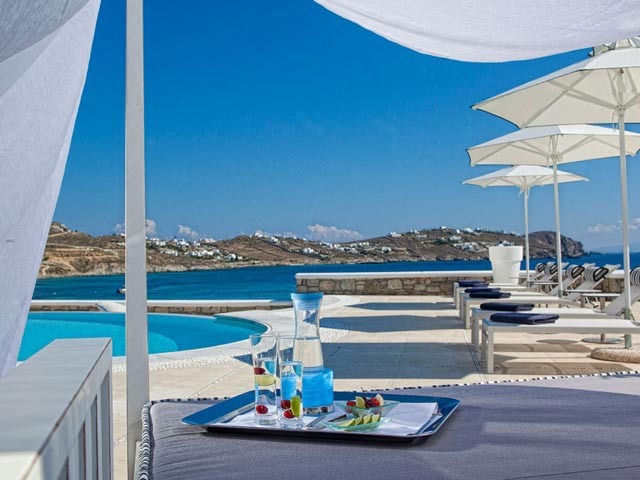 Open: April - October... Arte & Mare Elia Suites is a luxury boutique hotel offering 15 distinct suites with an amazing combination of colors located at Elia Beach in Mykonos. 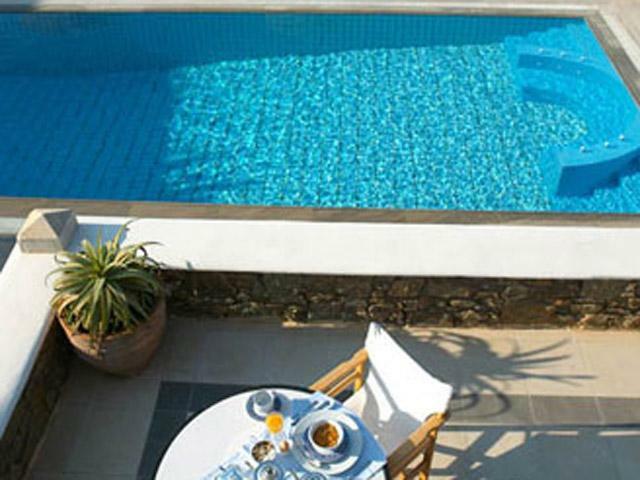 Open: April to October...In the most privileged location of Elia in Mykonos is situated a contemporary summer Residence with fantastic sea views where white color, stone and water are the dominant characteristics. Open:May - October... A fantastic landscape embraces Villa Galaxy and offers good mood, positive energy, inner health and tranquility. Villa Galaxy itself is built according to feng shui and fills its guests with a unique feeling of well being and relaxation.